In a supermarket, at the border of France and Luxembourg, in Longwy… I was doing the portraits of the clients, pushing their trolley. I like these moments, they are intense for me. 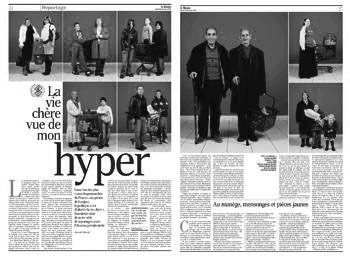 This article is in the french national newspaper “le monde” (see the website) of today. Made me happy.